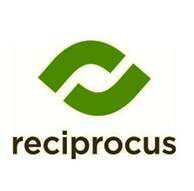 Reciprocus International Pte Ltd is a full service M&A boutique, headquartered in Singapore with offices in Switzerland and the US, advising investors and companies on start-ups, expansions and cross-border growth acceleration. Our firm specializes in facilitating intercontinental deals between North America, Europe and Asia Pacific. We offer a flexible, holistic service model that combines independent advice, capital formation and expert execution. Driven by a core group of former high-level Fortune 500 and McKinsey decision makers, private equity professionals and entrepreneurs, we execute initiatives flawlessly and provide our clients with best-of-breed talent for any given M&A need. We take a very personal approach in guiding our clients through the nuances of international commerce and trade. Our staff draws from an extensive network of partners and collaborators to provide in-depth knowledge and insight concerning global business operations. Our skill-set drawn from years of experience and relationships allow us to excel in dealing effectively in areas and situations that are delicate and unique.